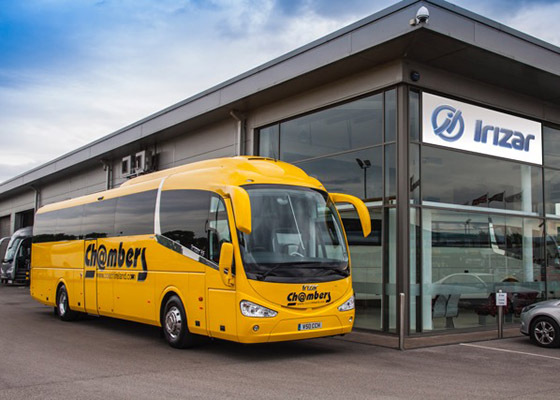 Synonymous with luxury coach hire, Chambers Coaches has been given a new lease of life since Glenshane Coaches took over the operation little over two years ago. We travelled to their base in Maghera, County Derry to get an insight into the activities of both enterprises from office manager Francis Traynor. Over the decades, Chambers Coaches built up an unrivalled reputation across Northern Ireland and beyond for providing top-quality private coach hire solutions to a wide range of customers. The company had lapsed in recent times, however, Glenshane Coaches who already had a presence in the coach hire sector, took over operations and set about the task of breathing new life into this sleeping giant. The results have been extraordinary and in double-quick time Chambers Coaches has reclaimed its rightful place at the very forefront of the industry, offering superb levels of service through a stunning and flexible fleet of premium, executive coaches. Between Chambers Coaches and Glenshane Coaches, they oversee a fleet of 20, from 16-seater up to 57-seater. Considering that it is less than a decade since the owner first dipped his toe into the coach-hire sector, he has certainly made quite an impact. While the Chambers name is associated with luxury coach hire and executive travel, Glenshane Coaches [winner of Most Improved Operator at the Federation of Passenger Transport Northern Ireland awards 2015] are also of a very high standard. Chambers Coaches provide private coach hire solutions, covering a wide-ranging customer base, including sport, tours, day trips, airport transfers etc. 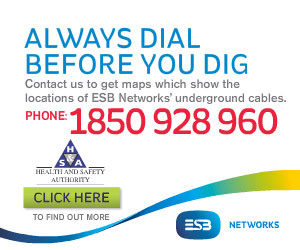 The high esteem in which they are held can be gauged with a quick glance at some of the prestigious clients served in the sporting world – Ulster rugby, the Ireland rugby team, and Antrim and Derry GAA – alongside a number of local University, GAA, Rugby, Soccer and other sports teams / clubs and supporters. Resurrecting this renowned business has required substantial investment, including the brand-new acquisition last summer of the first Scania Irizar i6, Euro 6, 53-seater in Northern Ireland, which took its place in a fleet that also includes four Irizar PB Scania’s. The eye-catching i6, which affords the driver ample space and passengers a smooth and quiet journey as it glides across the terrain, boast 53 half-leather PB seats with foot rests, full carpet, a twin monitor / DVD system, toilet and reversing camera and is powered by DAF’s MX11 271 Euro 6 engine with fully-automatic Ecolife transmission. “It’s been a huge financial commitment since ’13,” Francis confirms. “Chambers had to invest in the best coaches to back up the name and instil confidence. Chambers initially bought four PB Scania’s and soon added a 29-seater Riada. We are always renewing and updating our fleet. The new i6 is our flagship model at the minute. It’s a real luxury touring coach, although I need to stress that all the other vehicles are luxurious as well”. Rodney Gallagher is a hands-on owner-driver, who is also a qualified mechanic and carries out a lot of in-house fleet maintenance alongside his father, John (who also drives), and one other specialist mechanic (Joe). It’s very much a family affair, with Rodney’s wife, Anne, working as transport manager. Two large garage facilities are located on-site, stocked with all the latest tools and diagnostic equipment as well as pits, lifts etc. Bodywork is also carried out in-house.